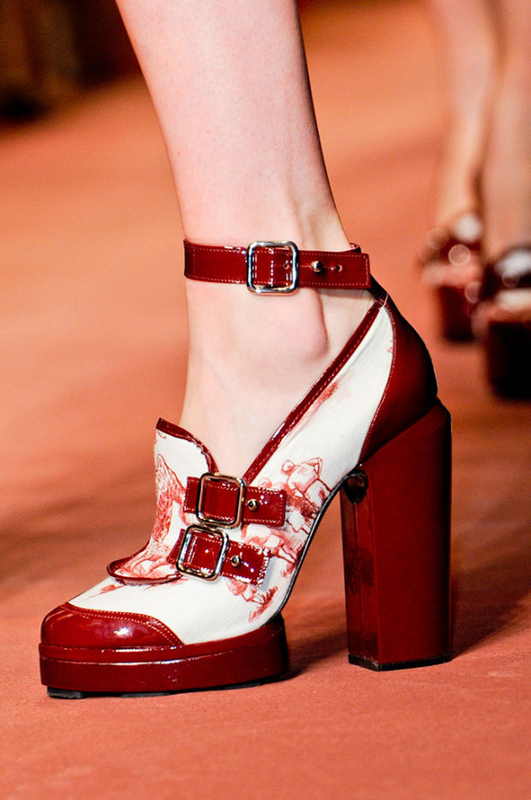 If you are looking for a saucy pair of shoes to rock this summer, this post will of a great use to you. You will be amazed at the pieces presented below, as each of them is full of stylish vibe and alluring touch. So if you are not sure about what to complement your awesome looks with, here is a magnificent collection of shoes to fall in love with. 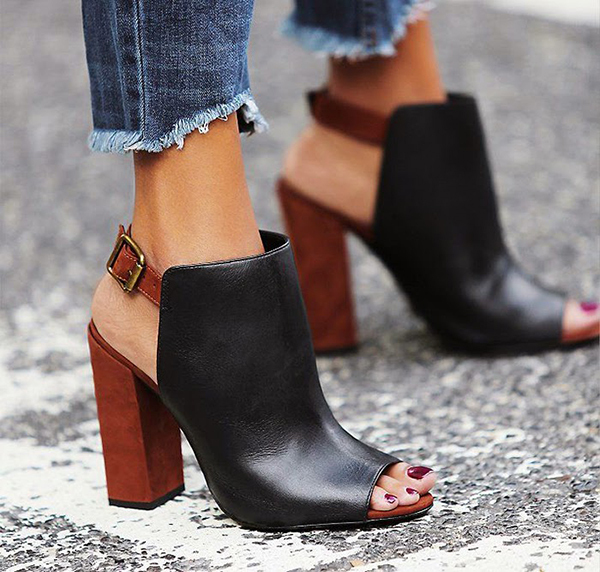 Moreover, they all feature the hottest trend of this season – a chunky heel, so it does make sense to check out the images below and get your portion of inspiration. I can guarantee that you will not regret the time spent and will receive some great ideas on how to style your summer outfits. If you are a fan of casual style and prefer comfy outfits to the glamorous ones, then you will definitely fall in love with this striking footwear piece in brown. The classic shade makes it a perfect accessory to complement any of your ensembles possible, as you won’t have to spend hours choosing among the items. The low wedge will add up to the overall impression, while keeping your feet from pain or any uneasy feeling. As such a piece is pretty much cross-functional, you can wear it with almost any look possible. In case you are looking for something more unique and outstanding, go ahead and try on this pair of marvelous sandals. The shoes are styled with a touch of an ethnic style, so if anyone happens to be in love with such motifs, then they will be definitely overwhelmed with this footwear piece. Black chunky heel is embellished with gold pattern and combined with peach wedge, whereas the main part is designed in yellow lacquered leather. Such a pair will perfectly style a light summer dress or a shorts suit with a crop top, so feel free to turn on your imagination and create most stylish looks possible. Black is all time favorite of numerous ladies around the world. Any piece in this color possesses a large amount of appeal and energy, so it is no wonder that we are all in love with items in this shade. 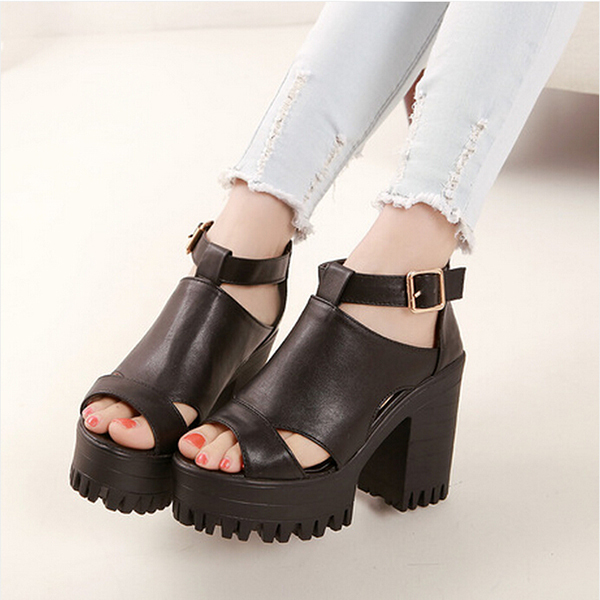 Here comes a super saucy pair of sandals in pitch black that features a trimmed heel and moderate wedge. You can be absolutely sure that these sandals will match any of the clothing pieces from your closet, as the design is very classy. Fine leather adds another point to the overall image, so it is more than reasonable to go for this item. You can also bring in some vibrant touches into your summer wardrobe and rock a beautiful pair of ankle straps in a myriad of colors. In fact, these sandals are styled in a rainbow pattern, which looks incredibly appealing, doesn’t it? The elegant design of the footwear piece will allow you pair it with practically any dress from your collection, whereas the uniquely embellished heel will attract a large flow of attention from the side of both male and female representatives. Moreover, such an accessory will definitely contribute to your sunny and delightful mood, as there is no way one can stay upset with such a magnificent pair embracing their feet. All in one this is one of the best footwear choices for this summer, which is why it is included in my top list of most wanted shoes. I can hardly imagine any lady’s summer wardrobe without a clothing piece oraccessory in white, so yes, now we are going to give a tribute to an adorable footwear item in white. What makes it different though from all the rest ones is its engaging and creative design, which will by all means speak to you a lot. 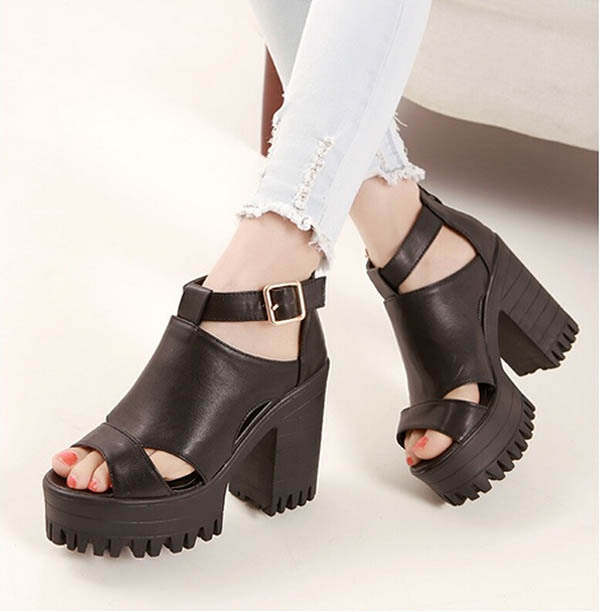 The chunky wedge of the sandals is combined with a very simple buckle up style of the piece. Meantime it is quite hard to take one’s gaze from the footwear model and stay indifferent towards it, as features a beautiful and very trendy color combination. Crystal white is complemented by neon silver: such a combo adds up to the party mood of any summer season and makes one want to spend as much time as possible out, rather than be engaged in boring and routine activities. 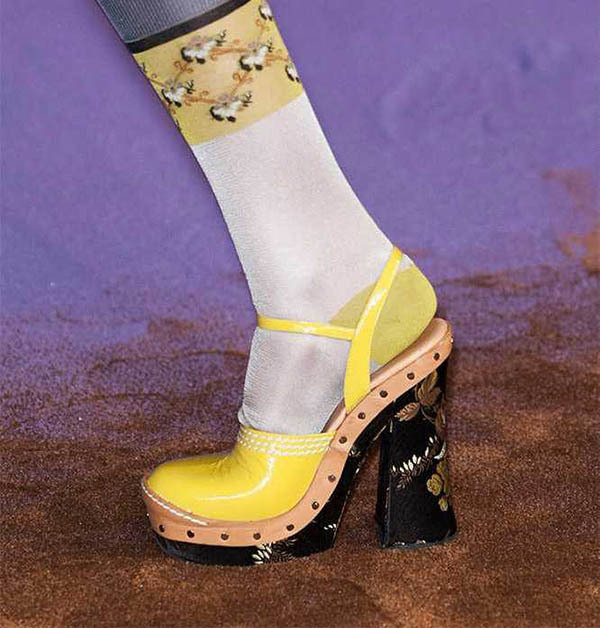 So if you are in a search of an excellent footwear design that would both style your outfits and fill you up with joy and inspiration, congratulations – you have just found the one! What do you think of these striking pieces? Which design would you add to your summer footwear collection? 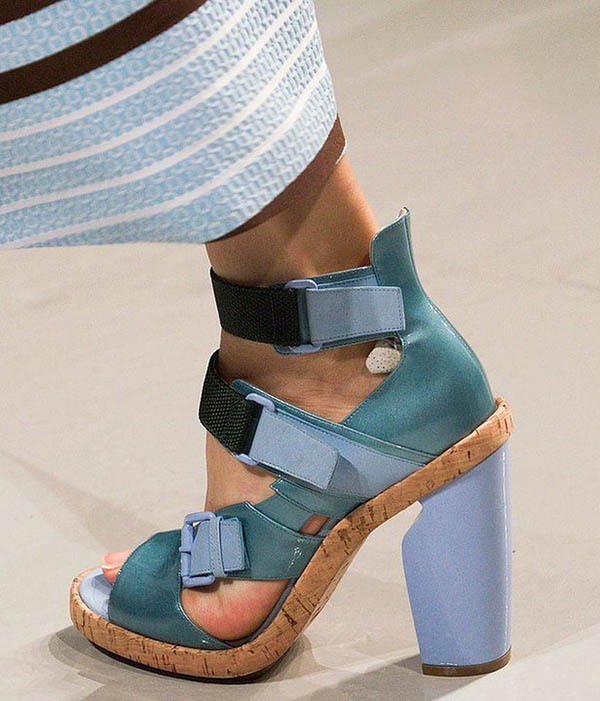 What Gladiator Sandals To Rock This Summer?